DRYS Fiduciaire provides accounting, tax and business consulting services to individuals and businesses. We aim to build privileged partnerships with our clients, delivering high quality services quickly and efficiently. 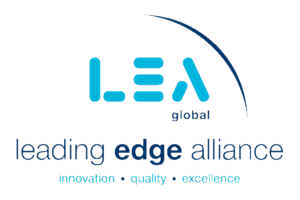 As a member of Leading Edge Alliance, an international association of independently owned accounting and consulting firms, we are also able to handle situations that require an international perspective. We are a member of Fiduciaire Suisse, the Swiss Fiduciary association. We are now also a member of EXPERTsuisse, the Swiss Expert association for Audit, Tax and Fiduciary. We are based in Lausanne and offer our services to clients located in the region as well as elsewhere in Switzerland. Our team is composed of Swiss certified accountants and Swiss certified specialists in finance and accounting. We can speak to our clients in French, Russian, English or German. We make a point of taking the necessary professional courses to remain abreast of changing laws in the areas of taxation, auditing and accounting.